Winter is the best time of year to settle down on the couch with a cozy blanket, some snacks, and some serious television series marathoning. If you’re currently enthralled with a show or have a box set sitting on your shelf waiting to be devoured, these 15 Crochet Projects Worth the Extra Mile are the perfect way to make that time just a little bit more productive. From crochet afghans to gorgeous crochet shawls, these crochet projects all take a little more time to finish than smaller projects. They are, however, completely worth the extra amount of effort. 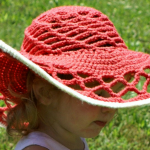 Afghans are some of the most popular crochet projects on the net. What I like best about working up an afghan on the couch is that it eventually gets long enough to snuggle into while you are working. These afghans are all excellent examples of this super rewarding type of project. 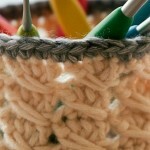 Consider working up one of these crochet projects while you veg out. Once it is finished, you can either give it away or keep it close to keep you warm. Crochet rugs are a fabulous way to add a homey look to your abode. I have an extra-large crocheted rug in my bedroom and I absolutely love it. 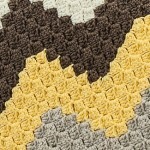 Unlike many other rugs, the texture of a crocheted rug is super comfy on your feet. The only downside to a rug crochet project is that it is not super portable. When working up a rug, you pretty much need to be at home once the project gets to a certain size. This makes a rug an awesome piece to work up in front of the television. 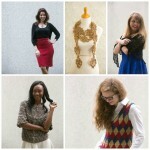 Crochet clothes are amazing pieces to add to your wardrobe for some extra warmth. While a scarf or cowl pattern can be a lot of fun, wearables like these shrugs and ponchos are much better at keeping you cozy. There’s nothing I love more than sporting a nice crocheted piece when sweater weather comes around. These crochet projects are awesome wearable pieces to work up while devouring season after season of your favorite show. 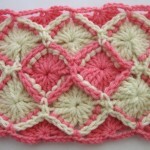 If you love these crochet projects, you’ll love these 9 Quick and Easy Afghans + Bonus Video. PLUS… Enter to win these Polymer Clay Covered Crochet Hooks. 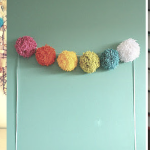 These hooks come in a variety of colors and can be custom made to your liking. Swirled black and white clay is accented with small Swarovski crystals and hints of glitter. Each hook is sanded smooth as well as sealed, so they will be able to withstand long hours of crocheting. Enter for a chance to win here, the contest ends January 29, 2014 at 11:59:59 p.m. Eastern Time. 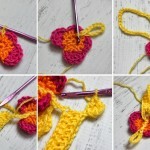 How long did your longest crochet project take you?